A French artist and a British naval commander fight for their countries and for the love of an English rose during World War II. 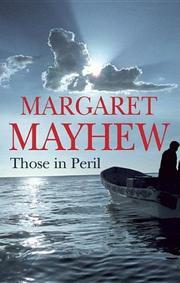 British novelist Mayhew (I’ll Be Seeing You, not reviewed, etc.) offers a plain, unvarnished, but pleasantly detailed story set partly in Brittany and partly on the Devon coast. Fleeing France as it falls to the Nazis in 1940, 53-year-old artist Louis Duval lands in Dartmouth, England. He finds lodgings with an attractive widow, Barbara Hillyard, and is quickly recruited to an active espionage role by Lieutenant Commander Alan Powell, who takes up Louis on the offer of his services in the fight against Hitler. Soon, the artist is sent back to Brittany on the first of several trips to gather crucial intelligence for the British, who fear a German invasion, and to set up a network of spies. Between missions, he falls in love with Barbara and captures her affection, beating out Alan. On a visit to London, General de Gaulle awards Louis the Cross of Lorraine. On his fourth trip to France, the artist takes along a radio transmitter. It proves his downfall when discovered by the Gestapo, who pick up Louis, beat and question him, then shoot him. Alan manages to retrieve the valuable documents Louis was trying to bring back and also, after a suitable interval, to offer some consolation to Barbara. Plenty of stiff upper lips and English understatement (“We’re in a very tight spot”) lend this tidy and predictable story some period charm.